On December 15, 2011, at the age of 69, Russ Herman, a co-lead attorney for victims of defective Chinese drywall, successfully negotiated the largest settlement of its kind in U.S. history. The settlement, estimated at close to a billion dollars, should bring some relief to thousands of Gulf South residents whose homes were severely damaged by the defective drywall’s corrosive effects. Russ’ career virtually defines “excellence through experience.” It took years of study and practical experience to achieve the level of competence he has now. Through his long and respected career, Russ has learned a great deal about human nature and how people think. This has helped him negotiate with diverse stakeholders, select a jury and understand a judge’s point of view. He’s also learned the intricacies of American law. It takes thousands of hours of intense study and analysis to determine legal precedents that support a winning case. And, he’s learned about himself and how to develop those aspects of his personality that support his work. Russ’ hard work and achievement have built a foundation to make a real difference in our society. He is proud to know that his work is helping those in need and that he is making our world a better place. 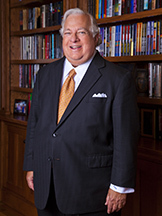 As a Senior Partner in the firm Herman Herman & Katz LLC of New Orleans, Russ continues to write and lecture on the law. His latest book – the second edition of Courtroom Persuasion: Winning with Art, Drama and Science – is a bestseller in legal circles. Next year, he plans to produce a play based in part on closing arguments from his most important cases. Simply stated, Russ has achieved wisdom through his life experience. Russ Herman… Peoples Health Champion.